diseases Warfarin has many drug interaction ,which may affect . warfarin can result in dangerous hemorrhaging . INRs with concurrent acetaminophen therapy was dose dependent . INRs closely in patients who take high chronic doses . especially in older population. Patient education is one of patient's rights and will lead to stop purchasing similar drugs from groceries . Ref. DPIC newsletter vol. 18 may-jun 1999 . Select the correct answer and clik for checking. Rift Valley Fever (RVF) is a zoonosis (a disease which primarily affects animals, but occasionally causes disease in humans). RVF may cause severe disease in both animals and humans, leading to a high morbidity and mortality, and exacting substantial economic costs from loss of livestock. Since 1930, when the virus was first isolated during an investigation into an epidemic amongst sheep on a farm in the Rift Valley of Kenya, there have been damaging outbreaks in sub-Saharan and North Africa. In 1997-98, there was been a major outbreak in Kenya and Somalia, and reports of disease from Mauritania. A wide variety of mosquitoes are possible vectors for the RVF virus (cf. : greater detail below). There is, therefore, a potential for epizootics (epidemics amongst animals) and associated human epidemics consequent on the introduction of the virus into a new area. This has often been demonstrated in the past and remains a concern. The virus which causes RVF is a member of the Phlebovirus genus, one of the 5 genera in the family Bunyaviridae. It is primarily spread amongst animals by the bite of infected mosquitoes. A variety of mosquitoes may act as vector for transmission of the RVF virus; in different regions a different species of mosquito may prove to be the predominant vector. In addition, the various vector species play differing roles in sustaining transmission of the virus. Aedes mosquitoes may acquire the virus from feeding on infected animals, and are capable of trans-ovarial transmission (transmission of the virus from infected female mosquitoes to offspring via eggs), so new generations of mosquitoes may hatch, already infected, from their eggs. This provides a durable mechanism for maintaining the virus in nature, as the eggs of these mosquitoes may survive for periods up to several years in dry conditions. During periods of inundation of larval habitats by rainfall, for example, in the rainy season, the eggs will hatch, and the mosquito population will increase and spread the virus to the animals on which they feed. Previously uninfected mosquitoes will feed on infected, viraemic (virus circulating in the bloodstream), animals and thus amplify and perpetuate the outbreak by transmitting the virus to the animals on which they subsequently feed. Many types of animals may be infected with RVF, and disease may be severe in many domesticated animals including cattle, sheep, camels and goats, although sheep appear to be more susceptible than cattle and goats are less susceptible. Exotic breeds, more recently introduced into an endemic area, fare worse than breeds long adapted to local conditions. Animals of different ages also differ in their susceptibility to severe illness: over 90% of lambs infected with RVF die, whereas mortality amongst adult sheep can be as low as 10%. The abortion rate amongst pregnant, infected ewes is almost 100%. An epizootic of RVF is usually first manifested as a wave of unexplained abortion amongst livestock. This may be considered the sentinel event, heralding the epidemic to follow. 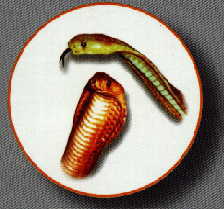 During epizootics, people may become infected with RVF either by being bitten by infected mosquitoes, or through contact with the blood, body fluids or organs of infected animals. Such contact may occur while involved in the care or slaughtering of infected animals, or, possibly, from the ingestion of raw milk. The virus may infect by entering either through inoculation (e.g., if the skin is broken, or through a wound from an infected knife), or it may be inhaled as an aerosol. The aerosol mode of transmission has also led to infection in laboratory workers. The incubation period (interval from infection to onset of symptoms) of RVF varies from two to six days. There then follows an influenza-like illness, with sudden onset of fever, headache, myalgia (muscle pain) and backache. Some patients also develop neck stiffness, photophobia (the patient finds exposure to light uncomfortable) and vomiting, and in these patients the disease may be mistaken for meningitis in the early stages. The symptoms of RVF usually last from four to seven days, after which time the immune response to infection becomes detectable with the appearance of IgM and IgG antibodies, and the disappearance of circulating virus from the bloodstream. A small proportion of patients develops a much more severe disease, and this generally appears as one of several recognizable syndromes. The fever and other symptoms described above may appear in association with eye disease, which characteristically manifests itself in retinal lesions. When the lesions are in the macula, some degree of permanent visual loss will result. Another syndrome manifests itself with acute neurological disease, as meningoencephalitis (inflammation of the brain and of the tissue surrounding it). The onset of these two syndromes is usually one to three weeks after the first symptoms. RVF may also manifest itself as haemorrhagic fever. Two to four days after the onset of illness, the patient shows evidence of severe liver disease, with jaundice and haemorrhagic phenomena, such as vomiting blood, passing blood in the faeces, developing a purpuric rash (a rash caused by bleeding in the skin), and bleeding from the gums. Patients with the RVF-haemorrhagic fever syndrome may remain viraemic for up to 10 days. The proportion of patients developing these three types of complications is about 0.5-2% for eye disease, and less than 1% for meningoencephalitis and for the haemorrhagic fever syndrome. Most fatalities occur in patients who have developed one of these complications. The case-fatality rate for patients developing haemorrhagic disease is high – approximately 50%, whereas death in those with only ocular disease or meningoencephalitis is uncommon. The total case fatality rate has varied widely in the various documented epidemics, but, overall, is less than 1%. The diagnosis of acute RVF may be reached by several approaches. Serological tests such as enzyme-linked immunoassay (the "ELISA" or "EIA" methods) may demonstrate the presence of specific IgM antibodies to the virus. The virus itself may be detected in blood or tissues by a variety of techniques including virus culture, antigen detection tests, and PCR, a molecular method for detecting the viral genome. The antiviral drug ribavirin has been shown to inhibit viral growth in experimental systems, but has not been evaluated in the clinical setting. Most human cases of RVF are relatively mild and of short duration, so will not require any specific treatment. For the more severe cases, the mainstay of treatment is general supportive therapy. Rift Valley fever can be prevented by a sustained program of animal vaccination. Both live, attenuated, and killed vaccines have been developed for veterinary use. The live vaccine requires only one dose and produces long-lived immunity, but the presently-available vaccine may cause abortion if given to pregnant animals. The killed vaccines do not cause these unwanted effects, but multiple doses must be given to produce protective immunity. This may prove problematic in endemic areas. An inactivated vaccine has been developed for human use. This vaccine is not licensed and is not commercially available but has been used experimentally to protect veterinary and laboratory personnel at high risk of exposure to RVF. Other candidate vaccines are under investigation. The risk of transmission from infected blood or tissues exists for people working with infected animals or people during an outbreak. Gloves and other appropriate protective clothing should be worn, and care taken when handling sick animals or their tissues. Healthcare workers looking after patients with suspected or confirmed RVF should employ universal precautions when taking and processing specimens from patients. Hospitalized patients should be nursed using barrier techniques. As noted above, laboratory workers are at risk, so samples taken for diagnosis from suspected cases (human and animal) of RVF should be handled by trained staff and processed in suitably equipped laboratories. Other approaches to the control of disease involve protection from and control of the mosquito vectors. Personal protection is important and effective. Where appropriate individuals should wear protective clothing, such as long shirts and trousers, use bednets and insect repellent, and avoid outdoor activity at peak biting times of the vector species. Measures to control mosquitoes during outbreaks, e.g., use of insecticides, are effective if conditions allow access to mosquito breeding sites. New systems which monitor the variations in climatic conditions are being applied to give advance warning of impending outbreaks by signalling the events which may predictably lead to increases in mosquito numbers. These will allow authorities to implement measures to avert the threatened epidemic. In response to the 1997-98 outbreak in northeastern Kenya and southern Somalia, WHO scientists and doctors led an international team which investigated the origins and epidemiology of the outbreak. Members of the team from WHO's headquarters and African Regional (AFRO) offices, its Kenyan and Somalian country offices, and several collaborating centres. For investigation, analysis and isolation of the virus, collaborating centres in Kenya (the Kenya Medical Research Institute), South Africa (the National Institute of Virology) and the USA (the Centers for Disease Control and Prevention) played key roles. أ- حمى غير معروفة السبب ( درجة الحرارة أكثر من 5 و 38 درجة مئوية ) لفترة تزيد عن 48 ساعة مع ارتفاع في وظائف الكبد لأكثر من ثلاث أضعاف المعدل الطبيعي أو مع ظهور يرقان . ب- حمى غير معروفة السبب ( درجة الحرارة أكثر من 5 و 38 درجة مئوية ) لفترة تزيد عن 48 ساعة مصحوبة باجهاض ، نزف تحت الجلد أو نزيف ( على سبيل المثال مكان الوخز ، من الجهاز الهضمي ، زيادة نزف في الدورة الشهرية ) . فقد مفاجىء للبصر غير معروف السبب . وفاة غير معروفة السبب مع وجود تاريخ مرضي لحمى . 1* لدغة بعض أنواع البعوض الناقل للمرض الكيولكس والأيدس . 2* ملامسة افرازات الحيوانات المصابة بالمرض . 3* إستنشاق الرذاذ المتطاير من أنسجة الحيوانات المصابة أو أجنتها أثناء عمل الفحص التشريحي البيطري لها . فترة حضانة المرض 2-7 أيام . لا تنتقل العدوى مباشرة من الأنسان المريض الى السليم والبعوضة المصابة تصبح ناقلة للفيروس طيلة حياتها . القابلية عامة - والعدوى البسيطة غير المشخصة يمكن أن تكون عامة - والعدوى تعطي مناعة ضد المرض . 3* عمل إستقصاء جيد للحالات والمخالطين لاكتشاف الحالات البسيطة بينهم ولمعرفة مصدر العدوى المحتمل . 4* مكافحة البعوض حول أماكن ظهور الحالات . 5* التوعية الصحية بطرق العدوى والمكافحة . لا يوجد علاج نوعي للمرض ويتم علاج الأعراض والمضاعفات . 2 snake was brought and positively as non-poisonous,or no fang marks,no severe local pain, none of the expected local and systemic manifestation were detected . Observe for 4 - 8 hours to exclude misidentification . Give anti- tetanic serum and tetanus toxoid ( CLICK ) . Did you notice any clinical manifestation ? . YES or NO . Give anti-tetanic serum and tetanus toxoid. Observe 24 hours . * These parameters are not significantly changed in the case of B.arietans bite , however blood platelets are significantly reduced. hypotension and shock , abnormal ECG , etc. 50 ml ( 5* 10 ml ampoles) to be diluted in 250 ml normal saline infused i.v over 30 -60 minutes.some dose can be repeated every 4 - 6 hours until definite improvment take place. Children must be giventhe same dose as adults. for patients who show severe neurotoxic symptom , application tensilon test ( edrophonium ) is necessary and manage according to the result . IS BIVALENT ANTIVENOM AVAILABLE AT YOUR HOSPITAL? 50 ml ( 5* 10 ml ampoles) to be diluted in 250 ml normal saline infused i.v over 30 -60 minutes.more antivenome should be given if sever signs persist after 1 -2 hours. 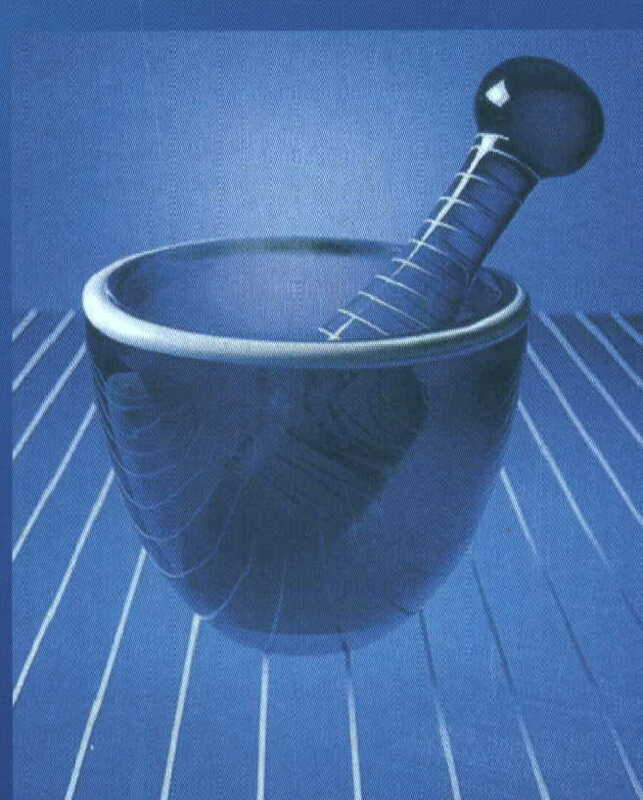 dose can be repeated every 4 - 6 hours until definite improvment take place. Children must be giventhe same dose as adults. * please note that the antivenom dose isbased mainly on titration of the symptoms until clinical manifestation disappears. 2 CHILDREN ( CLICK ) . The two most dangerouse scorpions in saudi arabia and two of the most toxic in the world . * Cause of death : cardiac failure , circulatory collapse , or respiratory failure . 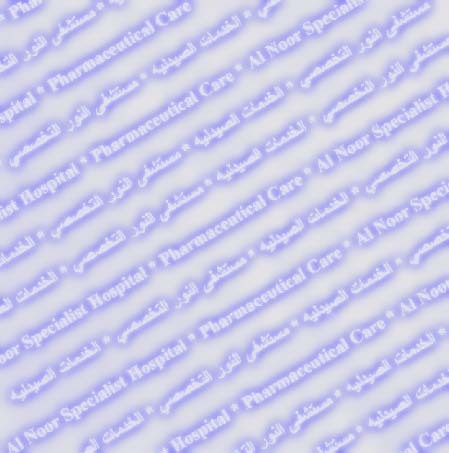 Give 5*1 ampoules polyvalent scorpion antivenom diluted in a 20 - 50 ml half normal salin, i.v . over aperiod of 20 minutes . If systemic manifestation still exists , the same dose is to be repated every 2 hours up to 4 doses , then keep under observation for atleast 24 hours , sfter recovery. 0.5 ml ( max.) of 1% xylocain , infiltrated at the site of the sting . O2 , furosemide and fluid restriction . c.v.p line with 0.5 normal saline to keep value at 8-12 cm H2O and maintain blood pressure at a level to perfuse vital organs . ( systolic B.P. between 60-70 mm Hg in children ) . Food And Drug Administration (FDA) is taking steps to remove phenylpropanolaminePPA from all drug products and has requested that all drug companies discontinue marketing products containing PPA . FDA issued a public health advisory concerning the risk of hemorrhagic stroke( stroke is characterized by either bleeding in the brain because of ruptured vessel or impaired blood flow to a part of the brain when a vessel is blocked by a clot ) associated with PPA . Research in the United state , Canada , Europe , and other developed countries among predominantly middle-class population , provides strong evidence that human-milk feeding decreases the incidence and/or severity of diarrhea , lower respiratory infection , otitis media , bacterial meningitis , botulism , urinary tract infection , and necrotizing enterocolitis , There are a number of studies that show a possible protective effect of human-milk feeding against sudden infant death syndrome , insulin-dependant diabetes mellitus , crohn's disease , ulcerative colitis , lymphoma , allergic diseases and other chronic digestive disease . The following questions and options should be considered when prescribing drug therapy to lactating women (1) Is the drug therapy really necessary? Consultation between the pediatrician and the mother's physician can be most useful . (2) Use the safest drug , for example , acetaminophen rather than aspirin for analgesia . (3) If there is a possibility that a drug maypresent arisk to the infant , consideration should be given to measurement of blood concentrations in the nursing infant. (4) Drug exposure to the nursing infant may be minimized by having the mother takes the medication just after she has breastfed the infant and/or just befor the infant is due to have a lengthy sleep period. Senna , Spironolacton , Tolbuta mide, Trimethoprim , Valproic acid , Verapamil , Warfarin . * Compatibility does not indicatethat a drug is risk-free in breastfeeding dyads ; it suggests only that in most situation , there is sufficient evedence to imply safety . Famotidine , Fluconazole , HeptitisA vaccin , Influenza vaccin , Insulin ,Fluvoxamin , Heparin , Ipratropium inhaler , Levothyroxine , Lortadine , Metoclopramide , Nortriptyline , Nystatin , Omeprazole , Ondansetron , Ranitidine , Sulfamethoxazole . * Case report data , pharmacokineetic properties , andlor pediatric use data . The widespread use of NSAIDS , including aspirin, attests to the efficacy of these agents for relieving pain, inflammation and fever . However , it is now well recognized that a significant disadvantage of NSAIDS use is an increased risk of gastroduodenal ulcers. Strategies to minimize these events include: avoiding NSAIDS , using the lowest effective dose , avoiding certain concomitant medications (e.g. corticosteroids ) or use of one of the new generation of highly selective cyclo-oxygenase type 2 (cox-2) inhibitor NSAIDS . For patients who are at high risk of developing adverse gastric events (e.g. the elderly and those with a prior history of ulcer) , pharmacological prophylaxis may be appropriate and possiblycost effective. The prostaglandin misoprostol and proton pump inhibitor omeprazole are the most promising agents for prevention of gastroduodenal ulcers. The annual death rate among patients with rheumatoid and osteoarthritis due to serious adverse consequences of gastroduodenal ulceration ( perforation and haemorrhage ) has been estimated to be as high as 16500 in US alone .Overall, the relative risk for severe gastroduodenal complications is approximately 3 to 10 times greater for NSAIDS users than non-users depending on the NSAID being used. Even low dose aspirin increases the relative risk of ulcer haemorrhage or perforation 2 to 4 fold. Many strategies for damage prevention : a topical effect and a systemic effect. The first step in preventing NSAID-induced gastroduodenal ulceration is to carefully asses the need for NSAID Therapy. Wherever possible , non NSAID analgesic (e.g. paracetamol should be used .If treatment with NSAID is necessary the lowest possible effective dose should be as there is evidence to suggest that the development of ulcers is dose related. High gastric acidity contributes to NSAIDS injury in the stomach and duodenal bulb. Increasing the gastric mucosal PH can prevent G.I damage , presumably by increasing the time for mucosal repair. The proton pump inhibitor, omeprazol (losec) has been shown to reduce ulcer rate by up to 80 % compared with no treatment. Intragastric prostaglandins exert various protective effects including :stimulating the section of bicarbonate and mucous, increasing the resistance of the surface epithilium to injury and preserving intravascular blood flow. Co-administration of an exogenous prostaglandin such as misoprostol with NSAIDS would be expected to be beneficial. Various risk factors have been identified which predispose to the development of a serious gastrointestinal event. Probably the most important of these advanced age (<60 years ) . It has been suggested that for patient < 1 risk factor consideration should be given to the administration. Of preventive treatment, either misoprostol or omeprazole. Other anti-ulcer agents such as histamin H2 antagonists was limited to protection against duodenal ulcers in a large comparative trial with omeprazole and sucralfate has been shown to be ineffective. Every day pharmacists save the lives of patients by many ways like to check wrong prescription ( names and doses , side effects) and drug interactions that some time doctor cannot judge. For example a urologist prescribed Viagra for patient. Dr. asked the patient if he was on nitrates patient did not know that imdur is a nitrates pharmacist noticed that patient was using imdur that was a nitrate which has sever interaction with viagra so he saved the patient from fatal interaction. ( danol is the drug which is used for different diagnosis ). The pharmacist discussed with the doctor . Actually he wanted to write denol which is used for peptic ulcer , by mistake of alphabet he wrote this drug (i.e. A & E ) . So pharmacist saved the life of patient from fatal action of the drug . Some times pharmacist detect serious illness that required hospitalization , one lady came for cough syrup. Pharmacist detected that patient has sever illness and he informed her doctor who admitted her in hospital and was diagnosed as a case of CHF. One mother came with child for laxative , but child was feeling abdominal pain , so, pharmacist sent him to doctor where he was operated for acute appendicitis. In U.S.A 100,000 people die every year because of medication errors that is 3rd leading cause of death after heart disease and cancer. Another 100,000’patients become worse because of medication errors. mother to her It is proved that some proteins from peanuts can be transmitted through lactating baby by breast feeding. These proteins cause allergic reaction in babies who are exposed to peanuts allergy. So children should not be exposed to peanuts until after age of 3 if parents or other family member , have a history of Br. Asthma , allergies or eczema such mother should not include peanut in their diet if they are on breast feeding . There have been several reports of the rapid increase in the incidence of infection and colonization with vancomycin resistant enterococci (VRE) which have become world wide problem. A. Prior exposure to vancomycin and multi-antimicrobial therapy. B. Severe underlying disease or immunosuppression. D. Transmission of microorganisms from patient to patient either via direct contact or indirectly via hands of personnel or contaminated patient care equipment or environmental surfaces. F. Physical location in the hospital. There is the growing concern that if vancomycin is not use cautiously, the vancomycin resistant genes present in VRE may be transferred to other gram-positive microorganisms such as staphylococcus aureus. The following are some of the recommended measures by the US hospital infection control practices advisory committee (HICPAC) for the prudent vancomycin use. 1. Serious infection with beta-lactam-resistant gram-positive organisms. 2. Infections with gram-positive organisms in patient with serious allergy to beta-lactam antimicrobial agents. 3. When antibiotic-associated colitis(AAC) fails to respond to metronidazole therapy or if AAC is severe and potentially life-threatening. 4. Prophylaxis, as recommended by the American Heart Association, for endocarditis in certain situations. 5. Prophylaxis for major surgical procedures involving implantation of prosthetic materials or devices at institutions with high rates of infections due to methicillin resistant Staphylococcus aureus (MRSA) or methicillin-resistant S. epidermidis (prophylaxis should be discontinued after maximum of two doses). 1. Routine surgical prophylaxis other than in a patient with life-threatening allergy to beta-lactam antimicrobial agents. 2. Empiric therapy for a febrile neutropenic patient, unless there is strong evidence that patient has an infection due to gram-positive microorganisms, and prevalence of infections due to MRSA in the hospital is substantial. 4. Continued empiric use for presumed infections in patients whose culture are negative for beta-lactam resistant gram-positive microorganisms. 5. System or local prophylaxis for infection or colonization of indwelling central or peripheral catheters. 6. Selective decontamination of the digestive tract. 7. Eradication of MRSA colonization. 8. Primary treatment of AAC. 9. Routine prophylaxis of low birth-weight infants. 10. Routine prophylaxis for patients on continuous ambulatory peritoneal dialysis or hemodialysis. 12. Use of vancomycin solution for topical application or irrigation. (PPA) causing Haemorrhagic stroke and the recommendation of food and drug administration (FDA) regarding the use of pharmaceutical preparation containing PPA. However, recent studies both in the U.K & U.S.A. on causing haemorrhagic stroke have been associated with factors such as smoking status, hypertension, race and level of education. The committee on safety of medicines (CSM) of the medicines control agency (MCA) reports that the evidence of the link between PPA and haemorrhagic stroke was weak and that the benefits of PPA as used in the U.K still outweigh the risks. 1. Patient with hypertension, hyperthyrodism heart disease or those taking mono-amine oxidase inhibitors should not receive PPA products. 2. All patients should not exceed the stated dose. (with bone disease), neonatalhypocalcaemia, hypoparathyroidism, and vitamin D- dependent rickets.